It is truly an exciting season for Shepherd’s Grove! 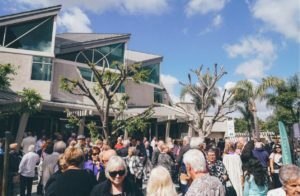 Not only did we have our first services at our new home, Irvine Presbyterian Church, now we have Easter services to look forward to. Easter weekend at Shepherd’s Grove will kick off with two Good Friday services on March 30th, a traditional service at 12 pm and a modern service at 7 pm. Both will feature music and a sermon from Pastor Bobby. On Easter Sunday, April 1st, we will have five services: 6, 8, 9, 10, and 11 am. 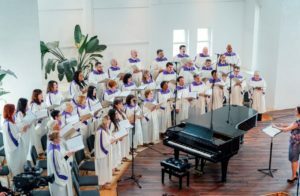 They will all blend traditional and contemporary music and feature performances by the Hour of Power Choir, Voices of Hope Children’s Choir, the modern worship band, and guest soloist Sal Malaki. Pastor Bobby will give a sermon titled: “Prodigal Father.” We invite you to join us this weekend for a joyous celebration of what the Lord has done and continues to do. There will also be donuts and a photo booth! We can’t wait to celebrate with you in Irvine. 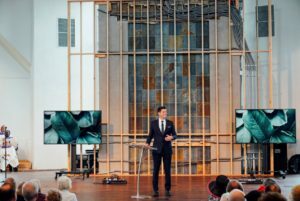 The 11 am service will be live streamed here.